If you are on the fence about ordering replacement windows for your home, then right now is a great time to learn more about these products. 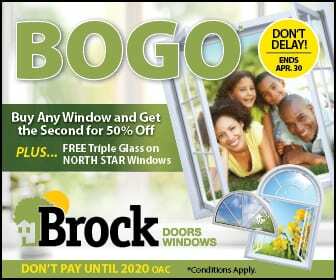 Here at Brock Doors and Windows, we know that there is a long list of benefits that you will enjoy. Old windows can make your home look run down. If you choose to delay the installation of replacement windows, then it is likely that you are setting the wrong impression for visitors that come to your home. First impressions are important, and replacement windows can help to set a good impression. Give your home an upgrade by replacing the windows. You will love the modern style that is created with these types of home improvement projects. Environmental awareness is a hot topic, and many people are looking for ways to decrease their carbon footprint. Are you looking for an option to decrease the impact that your decisions will have on the environment? Upgrade the windows so that you can improve the energy efficiency of your home. Improved window installation will make a difference to reduce the amount of time the heater or air conditioner needs to run during the day. As a result, you will decrease your energy usage and protect the environment at the same time. Did you know that the quality of your windows has a direct impact on the safety of your home? Old windows can be easily broken, making it simple for an intruder to come in. Upgrade the windows and talk to our team about the safety features that can be integrated. We can help you improve the security of your property. When the weather is nice outside, many people like to open the windows to let in the fresh air. But, old windows can be hard to use, causing frustration when you try to open or close the windows. There is no need to feel this frustration because replacement windows make it easier than ever to move the windows when needed. Is it hard to relax at home because you can hear all of the neighborhood noises outside? Whether you live by a busy road or there are a lot of kids in the neighborhood, these noises can interrupt your peaceful home. Old windows make it hard to manage the noise. By switching out the windows, you can improve the insulation which is beneficial to help you relax when you are inside. Block out the noises so that you don’t have to listen to the busy commotion around your home. Is it time to install replacement windows in Toronto? If you are ready to experience these benefits for yourself, then we encourage you to call or email Brock Doors and Windows: 1.800.449.3808 or info@brockwindows.com. Contact us to schedule a free consultation, or visit our showroom at 278 Orenda Rd, Brampton, ON L6T 4X6, Canada.